Pardon the dust, its been about 18 months since my last review. I'm trying to get back into the groove of regular reviews. Look for more coming soon. 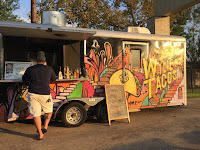 I've never stopped eating from food trucks, just got out of the habit of writing the reviews. Wylie St. Tacos has a pretty simple menu. 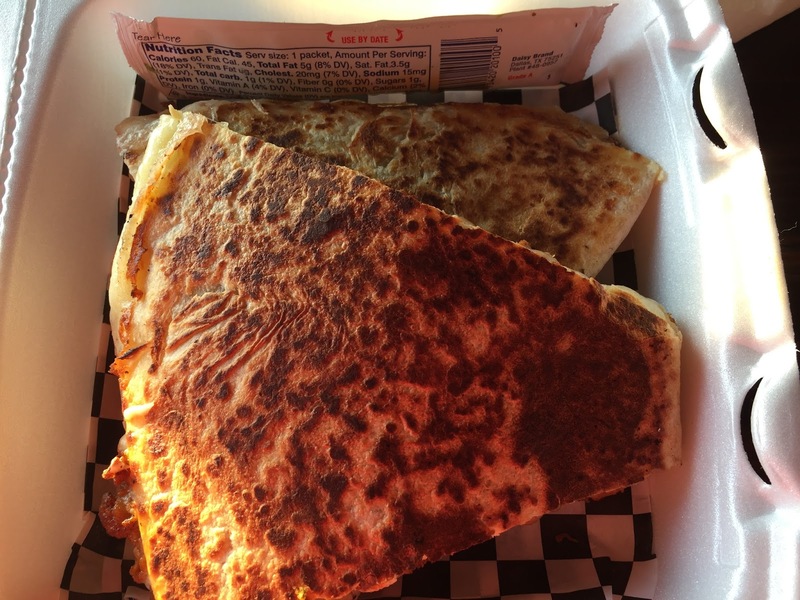 Tacos with your choice of beef, pork, or chicken, and quesadillas with your choice of beef, pork, or chicken. 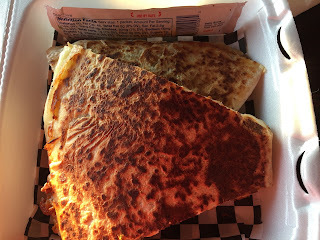 I always think a quesadilla is one of your best food values so I got the green chili quesadilla with marinated pork. I wasn't disappointed it was a healthy size. Mine was nicely browned and very crisp. Loaded with cheese too. the green chilis had a nice amount of heat and there was a satisfying amount of pork. The cheese in this makes it plenty filling. Plenty for two to split if you want a light meal. I often finish up my wife's order when she is through but this wasn't an option this time, I was stuffed. Synopsis: Solid execution and a great value. This review on food trucks in Huston is very interesting. I think Fast foods are always cat chy and appetizing. I can just imagine green chili marinated fish or chicken is mouth watering.